Scientists aboard​ Schmidt Ocean Institute’s​ research vessel Falkor surveyed deep-sea seamounts outside Isla del Coco UNESCO World Heritage site revealing coral communities with surprising diversity. 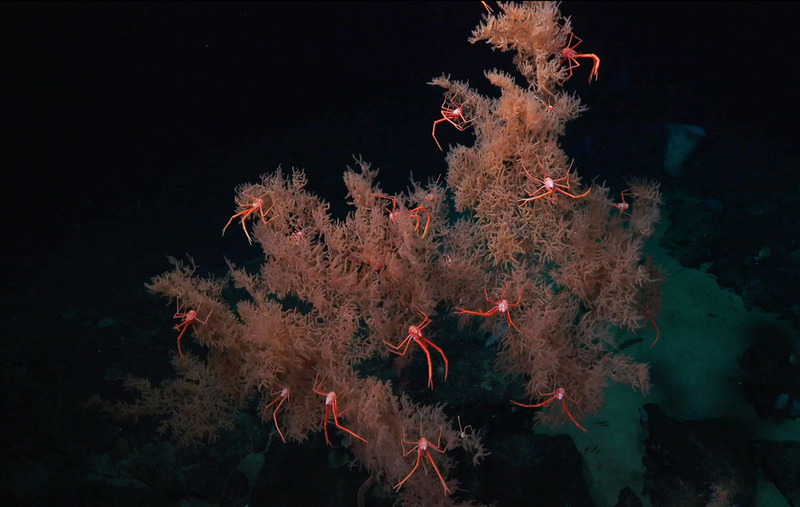 At least four new species of deep-sea corals and six other animals that are new to science were found on this expedition. 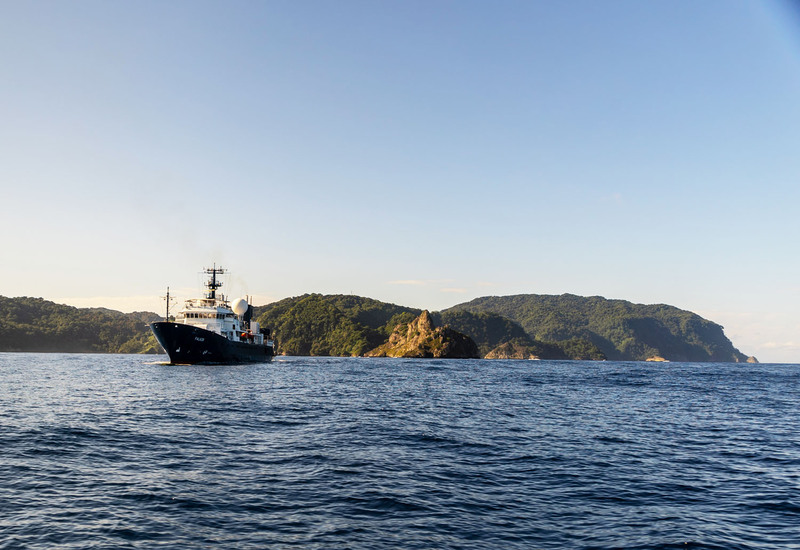 PUNTARENAS, COSTA RICA – A three-week expedition off the coast of Costa Rica has just expanded our knowledge of deep sea ecosystems in the region. Led by Dr. Erik Cordes, Temple University, the scientists aboard research vessel ​Falkor surveyed the continental margin for seamounts and natural gas seeps, where specialized biological communities are found. The seamounts extending from the mainland to the Cocos Islands National Park provide an important corridor for the animals occupying the area. PhD Student Allison Miller takes detailed photographs of a sea cucumber, the first time the team has ever sampled this species. 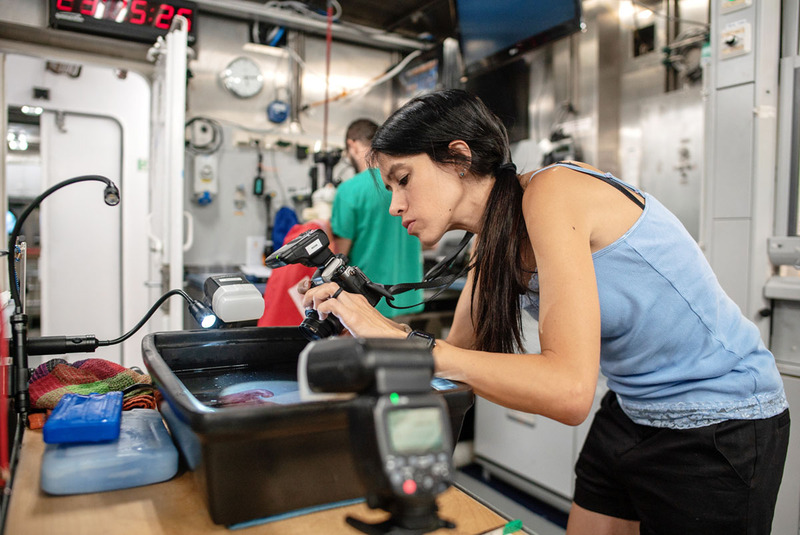 Investigating these systems on all biological size scales, the team focused on relationships between species, from microbes to fauna such as fish and corals. At least four new species of deep-sea corals and six other animals that are new to science were found. This expedition represents the first time that seven of the seamounts in the area have been surveyed. 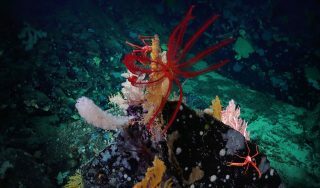 The survey results, including description of the coral communities that they host, will support the effort to create a new marine protected area around these seamounts ensuring that they are not impacted by fishing or potential mining activities. This black coral is at least 2 meters tall, leading researchers to estimate its age to be around 1,000 years old. 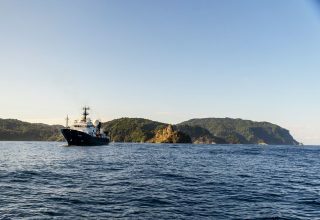 ROV Falkor arrives to Cocos Island. Cocos Island is part of a chain of seamounts that extends from continental Costa Rica to the Galapagos islands. Even in deep waters, humans pose a threat to these fragile ecosystems. An accumulation of trash was discovered at a depth of 3600 meters (more than 2 miles) during one of 19 remotely operated vehicle dives. Threats to the deep sea already exist, including fishing and energy industries that are moving into deeper water, and the persistent risk of climate change. Seamount habitats hosts rare organisms that are particularly vulnerable and need protection. 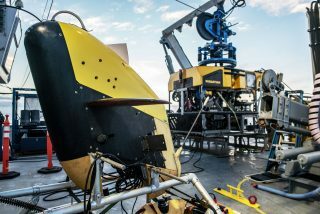 Both autonomous and remotely operated vehicles were used on this expedition. 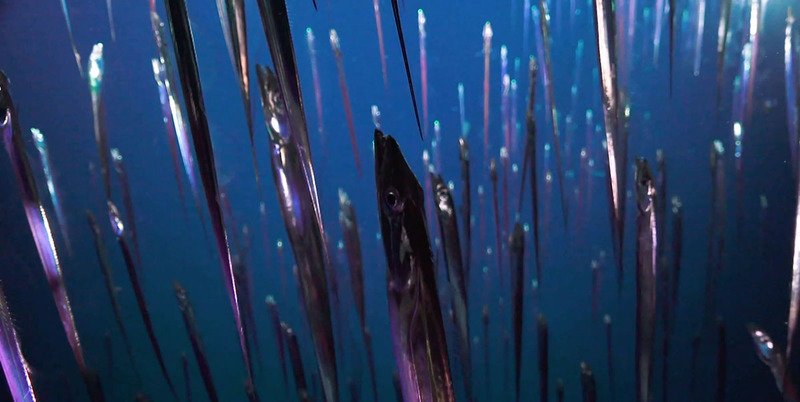 A beautiful school of Cutlassfish, found vertically schooling while feeding in the water column. You can view some of the amazing species discoveries in 4K here​. Additional h​igh-resolution images​ ​and B​-roll​ are also available.